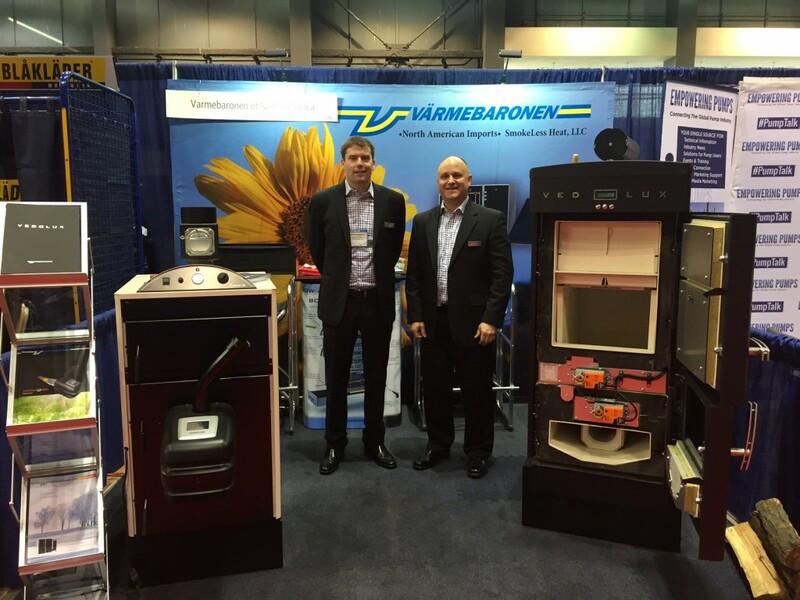 Varmebaronen / SmokeLess Heat LLC were vendors at the 2015 AHR Expo. 2015 AHR Expo was a show for the HVAC industry which attracted 62K attendees this year. Our 10×10 sq. ft. space was just a small part of the 11 acres of vendor floor. We certainly didn’t see all those visitors past our vendor space but we had many visitors that took time to see our products. We moved the equipment in by hand. 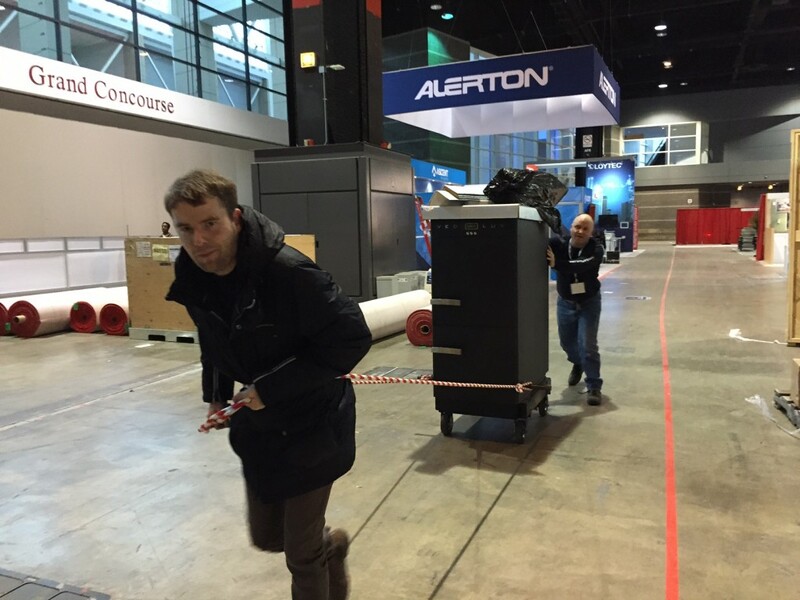 This boiler was 1000lb and we needed to unload them from our pickup without lifts or mechanized devises to be able to take advantage of the “self served” setup. Otherwise we would have needed to use expensive riggers to do the move in. 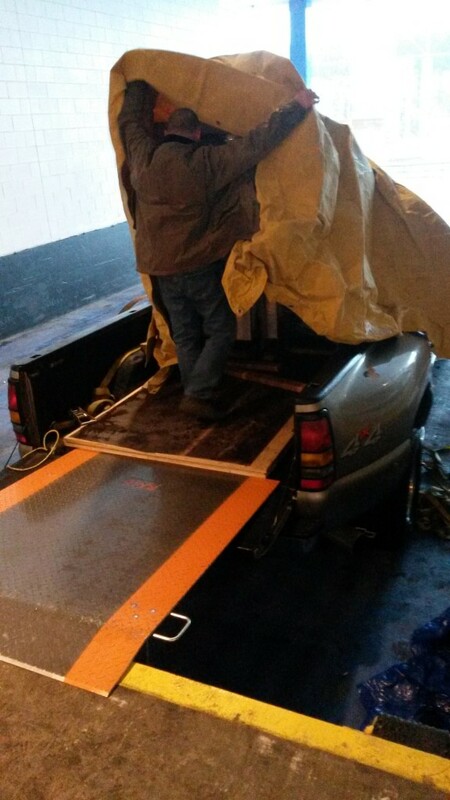 We used a dock leveler plate to move them from the back of our truck to the dock. Large wheels were made for the bottom of the boilers to be able to roll them to the show floor.